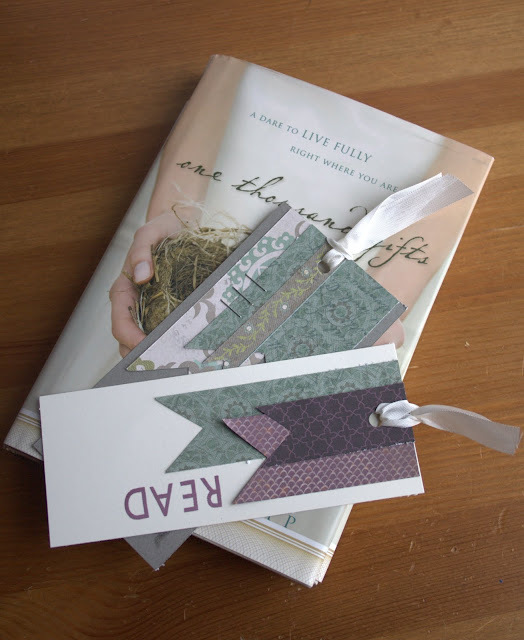 Today I'm excitehed to have Elizabeth from Broken Treasures guest posting here at Love Bug Living! I met her when I won a contest that she sponsored. So fun! She is sharing a tutorial for the perfect stocking stuffer or gift for someone this holiday season. I hope you enjoy and visit her at her site as well. Hi there :) I'm Elizabeth and I blog over at Broken Treasures about paper crafting and life with three kids (ages 6, 5, and almost 3). 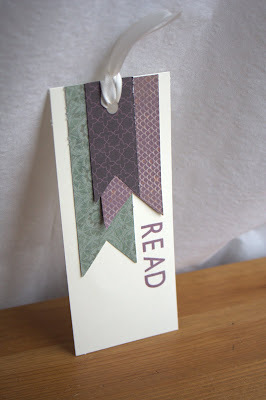 I have a project to show you - super simple and easy to do with any scrap papers you have around. These make the perfect teacher gift, tie-on gift topper or stocking stuffer. I cut paper 2 1/2 inches x 6 inches and then took strips of patterned paper and glued them on the top. 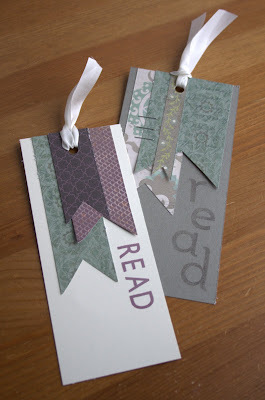 For the gray one I used staples and the purple ones I just used a tape runner to adhere the patterned papers. Quick easy tip. 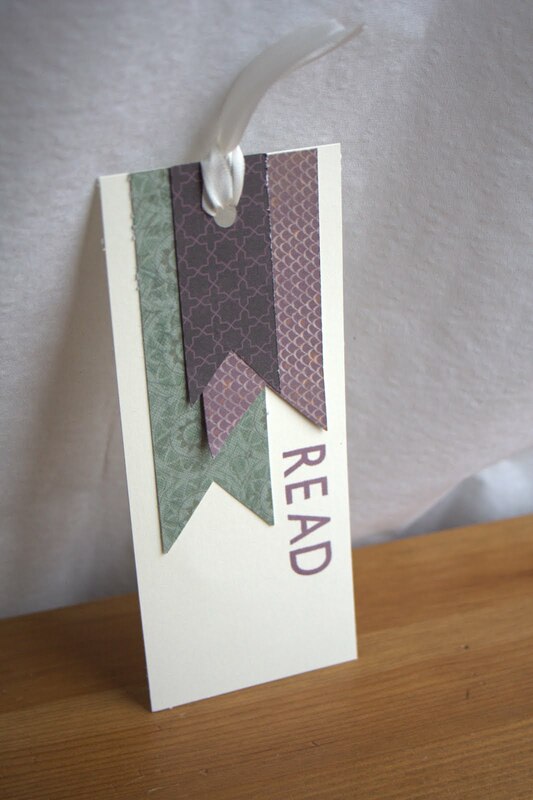 Take strips of paper and cut a triangle out of the bottom to give the banner look. 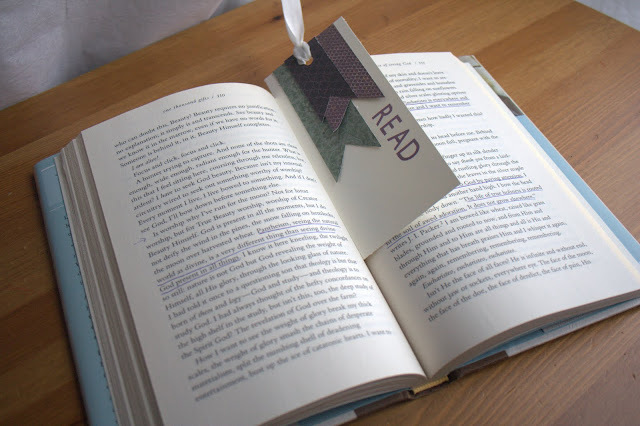 This is a great way to use up those scraps of paper you have laying around. For these bookmarks I used Avonlea and Moonlight papers. 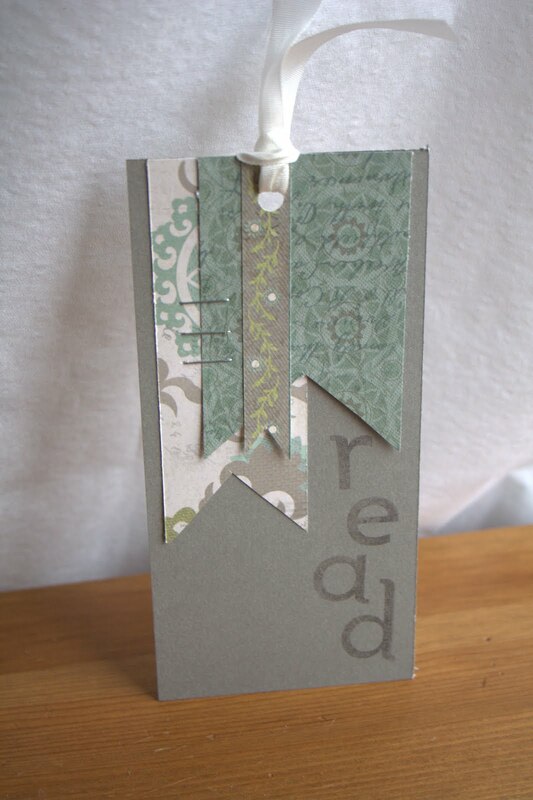 Then I used an alphabet stamp set and spelled out READ. You could personalize these with a Teacher's name or for each of your children. 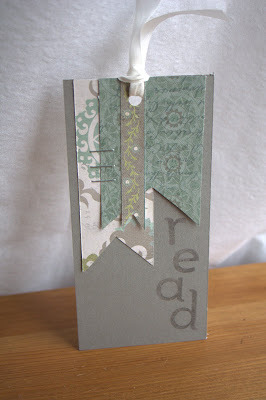 Happy Reading and gift giving :) Hope you'll stop by my blog for some other fun crafting tips. Thanks again to Melissa for having me!